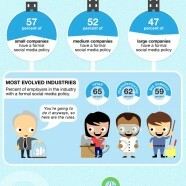 Home »Social Media » Do Employers Like Social Media? Do Employers Like Social Media? Get ready for fresh social policy by your employer. Companies like social media for brand promotion, user enagagement or recruiting but they seem hesitant about employee use.